Zero/Six Consulting can identify exactly what the issue is, how it started and evolved, and when it should have been prevented. Put our expert witnesses in your corner with tools worth a thousand words. Zero/Six is a powerful and credible witness that delivers dispute resolution services through document review, specialized investigation, in-depth analysis and testing, and concise conclusions that offer peace of mind during pre-construction, construction and post-construction proceedings. Zero/Six offers professional services in dispute resolution for buildings and specializes in both residential and commercial construction disputes. 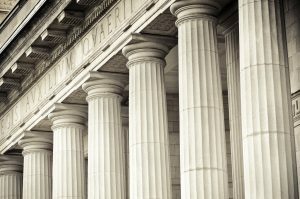 We provide construction specialists and expert witnesses for any form of dispute resolution including civil litigation. All of our professionals have years of hands-on building and remodeling experience with specialized training in dispute resolution, and unbiased and fair mediation or arbitration process. Our professionals include licensed contractors, architects, home inspectors, building code enforcement officials, construction attorneys or other construction related industry personnel who can provide the required expertise. Negotiation is a process where the parties try to resolve their differences themselves before any formal proceeding are initiated. This is considered to be the best solution to the problem. If negotiation fails, the parties may submit the dispute to Mediation – a popular form of alternative dispute resolution. Each party is recommended to give serious consideration to other’s request to use mediation. However, it is not mandatory for parties to use mediation. Usually a mediator is appointed jointly by the parties. Mediation typically lasts for one day. The mediator is neutral and unbiased and does not take sides. The mediator talks to each party in private, and will not reveal anything to the other party. The mediator establishes a common ground and encourages the parties to reach to an agreement. The advantage of this method is that the parties can maintain a functioning long-term business relationship. If mediation also fails, then under the Housing Grants, Construction and Regeneration Act 1996, parties have a right to adjudication, designed to produce a decision that is binding unless the dispute is subsequently resolved in arbitration or litigation, or settled by agreement. The adjudicator may either be named in the contract or nominated by the nominating body identified in the contract. If a party fails to comply with any direction of the adjudicator, the latter may draw own inferences. And if either party refuses to comply with the adjudication decision, the other may seek to enforce it through the courts. If the parties are unsatisfied with the adjudication, they may refer the dispute to either arbitration or litigation depending on what is agreed in the contract. The outcome is final and binding. Under the Arbitration Act, the arbitrator is empowered to grant a rage of remedies similar to those obtainable in court. Privacy – arbitration can be kept private whereas litigation is open to public and press. The arbitration process is consensual and parties have slightly more autonomy. The ability to include multiple parties in the case to avoid duplication of hearings and potentially conflicting outcomes. Disputes heard in court can invoke two very powerful legal remedies – summary judgement and interim payment.